Think deer are skittish animals that run at the first sight of humans? Think again. At Nara Park in Japan, the deer do run -- but it's right toward you. Especially if you're holding one of the deer cookies that are sold around the park. Because it turns out that cookies are more delicious than grass. 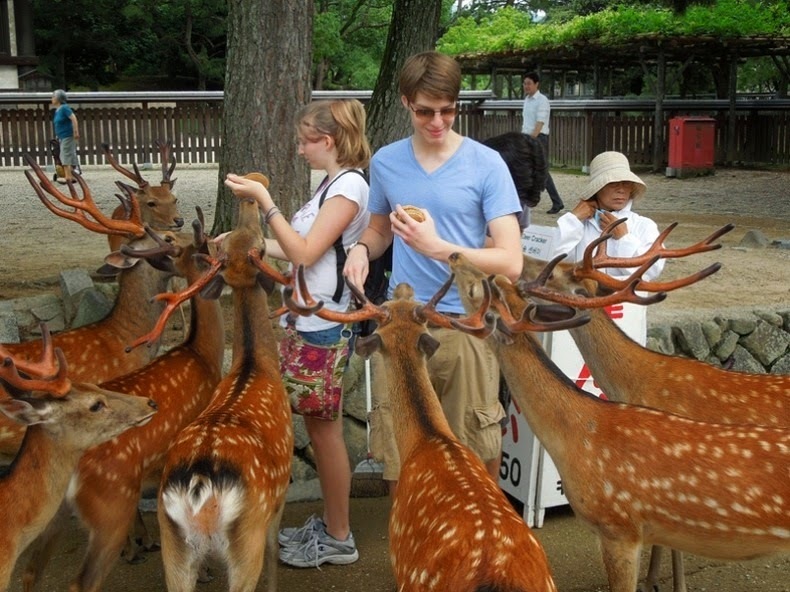 There are about 1,200 free-roaming deer in the park, and they're believed by the Shinto to be messengers of the gods. Messengers or not, these deer want their snacks. Deer eating cookies -- doesn't get more adorable than that. You're having one of those days. Your boss yells at you. Your ice cream falls out of the cone mid-lick. Your nemesis, the roadrunner, speeds away again while you're squashed by an anvil. You feel angry. But you're an adult and you're supposed to just keep calm and do whatever the latest slogan says to do. Well, guess what? You don't have to stay so calm. You can grab a bat and start smashing things instead. 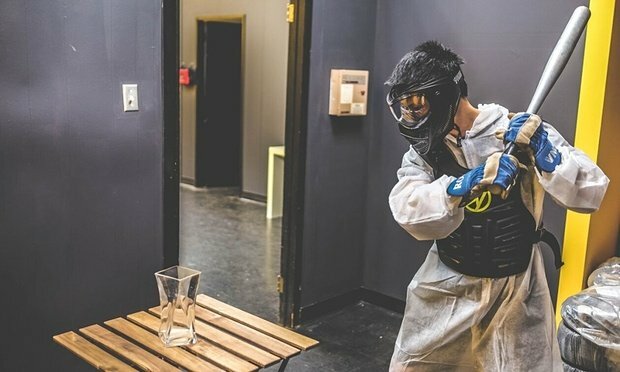 But to avoid ending up in a lot of trouble, first you should travel to Toronto, Canada, where you can book some time at Rage Room, a facility that offers angry people the opportunity to bash things with a bat. Twenty bucks will buy you a set of plates, a bat rental, some protective gear and 30 minutes in a room by yourself. Add on some wineglasses to hurl at the wall, or a mirror to pulverize. Feeling really upset? Go ahead. Buy yourself a chair ... then go at it! They say money can't buy you happiness, but what it can buy is an outlet for your frustrations. I'll take it. 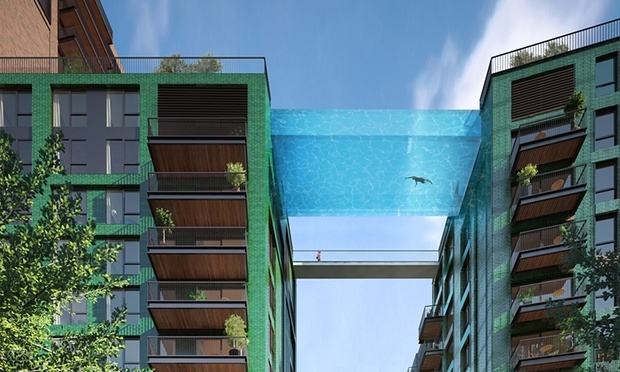 I've always dreamed of having a pool in my backyard, but with the newly built "sky pool" at Embassy Gardens apartment complex in London, I'm beginning to realize that my dreams are pretty pedestrian. Because why have an in-ground pool when you can have one that stretches between the tops of two luxury buildings instead? Assuming you're a gazillionaire, of course. Actually, maybe you don't have to be a gazillionaire. Note to self: Discuss with neighbor the idea of putting in a sky pool between our two houses next summer. It won't be 10 stories high ... and I'm actually not quite sure what the point of it would be exactly. All I know is that I want one. I used to think that when it comes to churches, bigger equals better. After all, the most beautiful churches in the world are all vast and awe-inspiring. As it turns out, however, even small churches can be impressive. 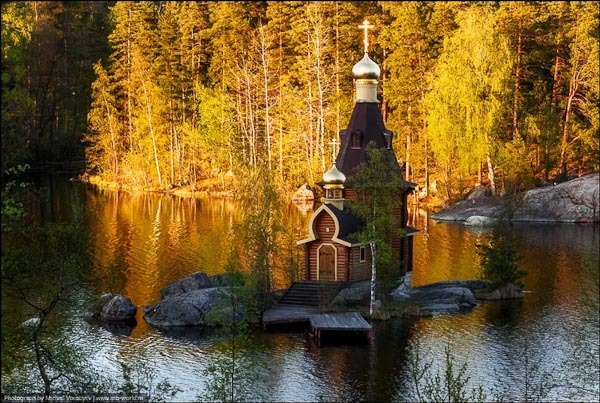 For example, St. Andrew's in Leningrad Oblast, Russia, sits on an island less than a hundred square meters in size, surrounded by gorgeous landscape, and is basically the most adorable house of worship I've ever seen. To visit St. Andrew's, you must get the permission of the abbot and then take a small boat across the Vuoksa river. Even God must be thinking, "How cute is that?"